Home Unlock Huawei How to Unlock Huawei E5172As-22 WiFi Router Batelco Bahrain? How to Unlock Huawei E5172As-22 WiFi Router Batelco Bahrain? Unlocking of Batelco E353 HiLink Bahrain Huawei modem, E586 MiFi router, and E5776 (E5776s-32) WiFi MiFi pocket router are possible using a correct SIMlock code. 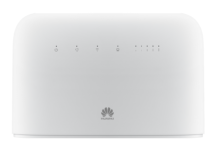 In this post, we will discuss the unlocking of Huawei E5172As-22 WiFi router which is locked to Batelco Bahrain. How to Unlock Huawei E5172As-22 WiFi Router of Batelco Bahrain? 1. Switch Off the E5172As-22. 2. Change the default SIM card with any other network provider and switch on. 3. Connect to PC using default LAN cable. 4. Browse its default IP address (192.168.1.1) through Internet Explorer and login to the device (Username : admin and Password : password). 5. Search option for SIMlock. 6. Enter 8-digit unlock code. 8. Now your device will be unlocked. Note: Don’t use any wrong of free code into Huawei E5172As-22 Batelco Bahrain, otherwise it will be locked permanently. 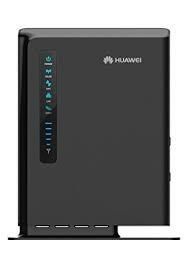 Previous articleHow to Unlock Huawei E5172s-920 Spectranet Nigeria 4G LTE WiFi Router? Next articleHow to Unlock Dcom 3G Huawei E303s-65 Vietnam Modem?